Robert F. Brands is President & CEO of Variblending, a manufacturer of custom-blending, dual-dispensing technology, and the founder of Innovation Coach, an innovation speaker and consultant. He is also the author of the book series Robert’s Rules of Innovation. Do Current Accounting Systems Inhibit Innovation? Innovation thought leaders and industry experts emphatically harp that if you want to stay afloat (and ultimately thrive) in today’s hyper-competitive business environment, innovation is not optional—it’s absolutely imperative for survival and success. Your customers demand it; and if you can’t innovate, your competitors will consistently outflank and outperform you. The very purpose of innovation is to change things up, to move processes forward, and to disrupt the status quo. 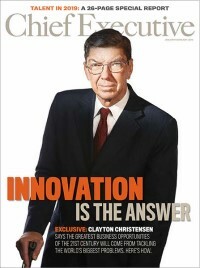 However, “innovation for the sake of innovation” is a misuse of a very powerful and beneficial tool.